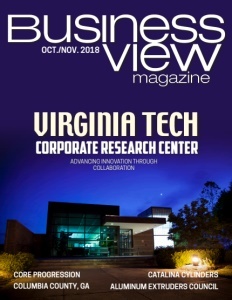 Business View Magazine interviews Martin Harder, Mayor of Winkler, Manitoba, for our focus on economic growth and innovation in Canadian cities. Located on the western edge of the scenic Red River Valley, the City of Winkler, Manitoba shines as the shopping, industrial, and entertainment hub of southern Manitoba. 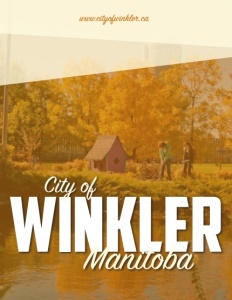 A small city by population, Winkler’s status as a regional center for commerce, agriculture, and industry hold it in good stead for continued growth and sustainable economic development. Approximately 30 percent of the work force is employed in the industrial sector. Health and education is the second-largest employer, and the region’s agricultural sector is one of the most productive and diversified in Manitoba. Long before Harder took office, an earlier Mayor, Henry Wiebe, prompted the basis of a strategic plan for the city, when he made this statement: “For every student we graduate, we need to ensure we have a job available.” That has never been truer than today in Winkler, where 800 to 850 students graduate every year. With the expansion of education through the establishment of Red River College, there is a tremendous opportunity for employing skilled graduates in the community. The remarkably consistent growth has mostly come from within. While national retailers like Wal-Mart, Superstore, and some chain restaurants have moved to the city, the majority of industrial growth is homegrown. Businesses that started small in the community have been very successful in reaching out to the North American marketplace. 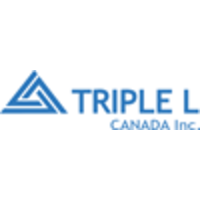 Of particular note: Triple E Recreational Vehicles, which began 52 years ago in Winkler, Manitoba as a small plumbing shop, turned into an RV company with a handful of employees, and now has a workforce of almost 500. The leisure travel vans produced by Triple E are famous for their exceptional quality, and much of the product is hand-crafted. Sister company, Lode King Industries, was fuelled by the agricultural industry to produce tractor trailers. They employ 300 people and continue to expand with a new 85,000-sq.-ft. manufacturing plant. Twenty-five years ago, Meridian Industries came to town with the promise of 25 jobs. Today, they employ over 400. The city housing market is “reasonably tight” but developers and contractors are still building private homes, condos, and apartments. And the city has a fairly active involvement in public housing. The province of Manitoba owns 67 units of affordable housing in Winkler – two years ago the city began managing those houses. Since then, the changes have been phenomenal because local people are in charge of leasing and providing services such as a community meal program, education programs, and community support programs to the tenants. The city also owns another 24 affordable housing units, which it built more than a decade ago. In 2015, the Buhler Active Living Centre opened through a combination of private donations, city, and provincial support. The complex is comprised of 48 units of affordable housing for seniors that also encompasses independent living, a community seniors’ activity center, and dining facilities. With seniors downsizing, their homes are coming on the market, creating the availability of used housing in the city, where, otherwise, it would be all new-builds. Home prices in Winkler, Manitoba are very attractive – on average, a three-bedroom, 1,200 -q.-ft. home with an unfinished basement sells for $300,000 to $325,000. A two-bedroom starter home can be purchased for $250,000. 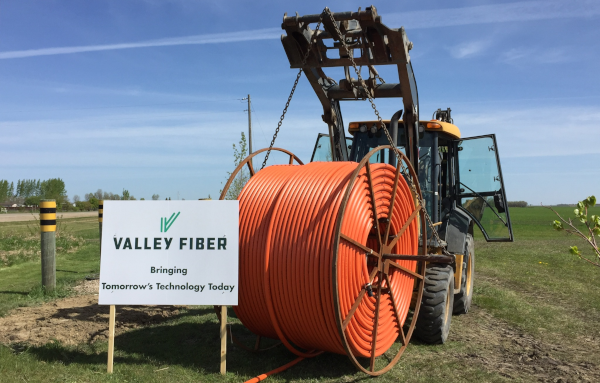 On another topic, Harder states, “Internet service in rural Manitoba has been dismal at best, which is why we saw Valley Fiber as the opportunity we desperately needed. Two years ago, they approached us about hooking up every business and household in Winkler with single line access to a data center they would build. So, we partnered with them, designated some land for their use, and gave them a cheque for half a million dollars. We’re proud to say that by the end of 2018, we’ll have individual line fiber optic hookups to every house and business in the entire city. Check out this handpicked feature on Langford, British Columbia – The ultimate sports town. In early August 2018, the City of Winkler, Manitoba broke the Guinness World Record for the most combines harvesting together on a field at one time. The previous Canadian record of 244 combines, set in Saskatchewan, was turfed away as 303 harvesters in Winkler kicked up a world of dust to claim the prized agricultural accolade. ICON Direct – Icon Technologies Limited is a privately held corporation, which started operations in 1998. The company’s core competency in thermoforming and rotational molding is complemented by strong abilities in innovative design, manufacturing ideas and low-cost prototyping. From the start, its goal has been to provide innovative custom thermoformed solutions to OEM customers. WBS Construction – WBS Construction was started in 1979 by two brothers, Harv and Alvin Thiessen. Shortly after opening, the brothers purchased a lumberyard called Winkler Building Supplies with the intent of growing their construction company. In time however, they realized their passion was for construction management, and so they sold the lumberyard to give their complete attention to building. The sale of the lumberyard resulted in a company name change and WBS Construction was introduced to the market with the new name developed from the first three letters of the lumberyard.